My research has meant reading around the subject of Far East POWs, but recently my recreational reading seems to have homed in on the subject of war too. 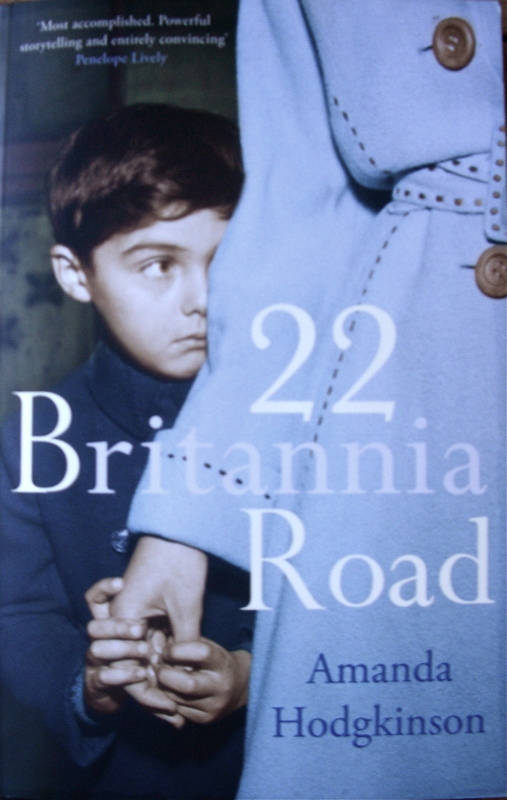 Amand Hodgkinson’s 22 Britannia Road, is a touching and human portrait of a young Polish couple and their baby, split apart by war (WWII) and each living, for six years, through their own separate nightmares. The story tracks back and forth between their new home in Ipswich, and their war experiences – a difficult trick to pull off, but it worked for me. This is a very convincing portrayal; the almost feral small boy, the war-shattered woman and the lonely and determined young man struggle to find common ground and a way to move forward. There are complications and a past that has too many secrets. The period features were well handled and there was a wonderful level of atmospheric detail to all the descriptions. The scope of this book is intensely, and intentionally, small. War is outside these people something that happens to them in which they have no active role. They simply survive. For this reason it would be inappropriate to talk about my second ‘war’ story (Chimamanda Ngozi Adichie – Half of a Yellow Sun) in the same post. This entry was posted in Reading, Writing notes and tagged 22 Britannia Road, Amand Hodgkinson, Poland, Polish, refugee, WWII by hilarycustancegreen. Bookmark the permalink. Many books have been written about experienced traumas. It is not for nothing that war and experiences suffered, are sometimes named or catalogued under the ‘Theatre of war’ or ‘war theatre.’ It remains a topic of terrible upheavals of which they were innocent, mere witnesses. Is there a book, ‘The pianist’ not written about one aspect of such an upheaval? It was made into a film by Roman Polanski. I’ve not read The Pianist, though I saw the film – if it is the one where he played silently through much of the war. Just now I have promised myself a break from the subject, but maybe I’ll get to read it in the new year.